Microsoft published the Windows 10 1803 feature update (aka April 2018 Update), in the Semi-Annual Channel on April 30th, 2018. 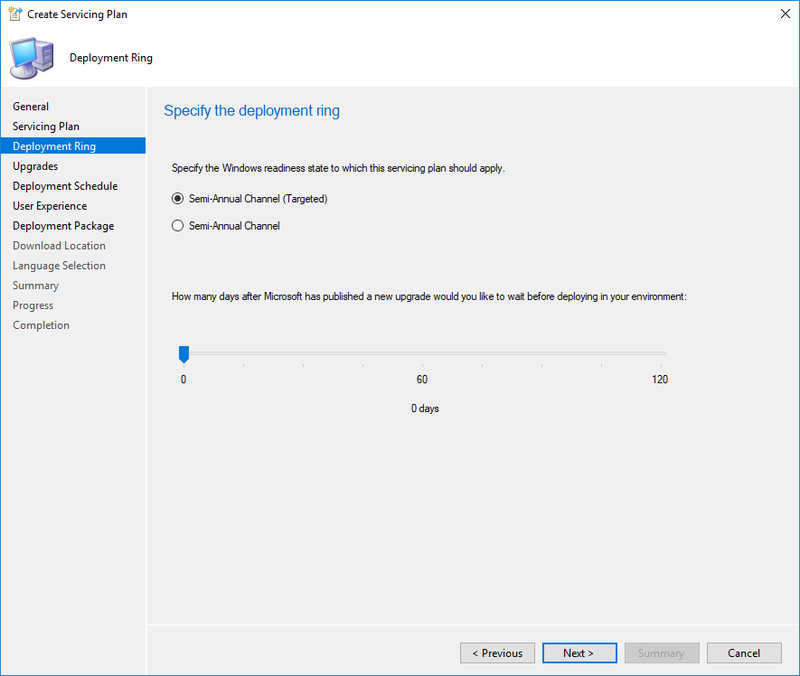 You may need to deploy it to your Windows 10 computer to stay supported or to benefits from the new features. 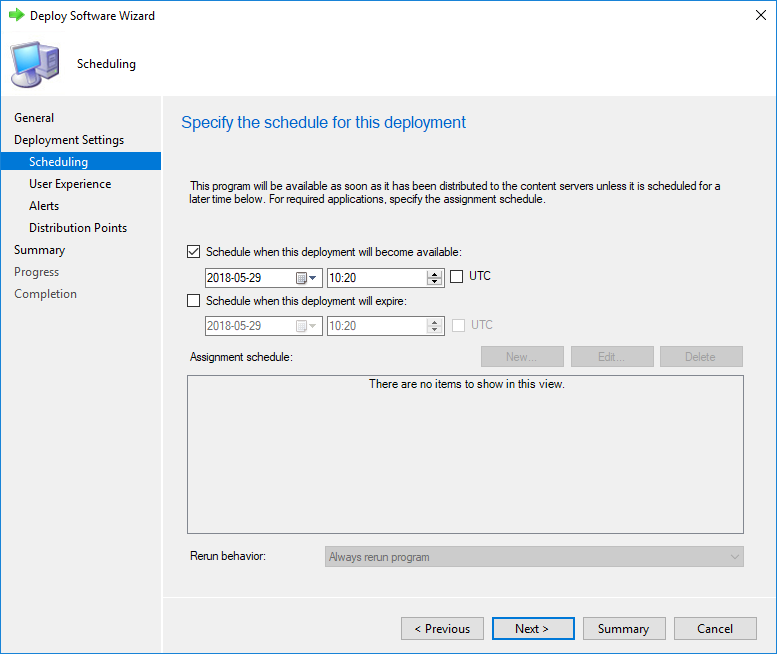 For Windows 10 1803 April 2018 Update, you need at least SCCM 1802 in order to support it as a client. See the following support matrix if you’re running an outdated SCCM version and make sure to update your site. 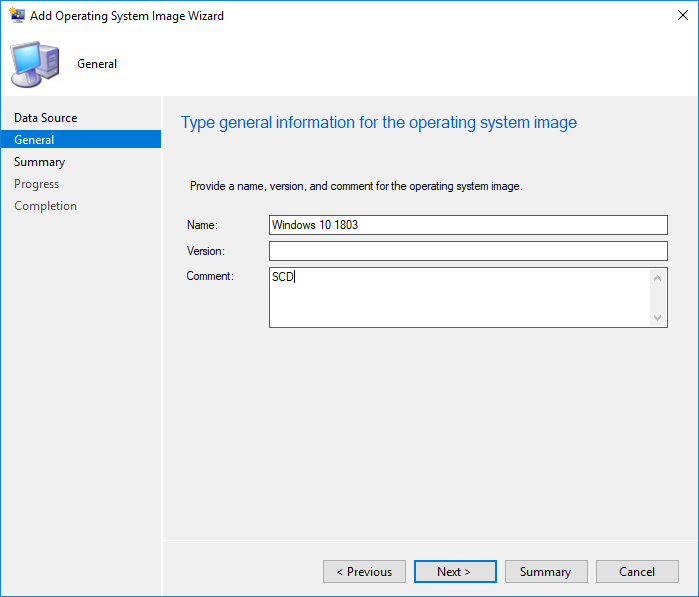 Before capturing and deploying a Windows 10 1803 image, make sure that you’re running a supported version of the Windows ADK. Windows recommends using the Windows ADK that matches the version of Windows you’re deploying. 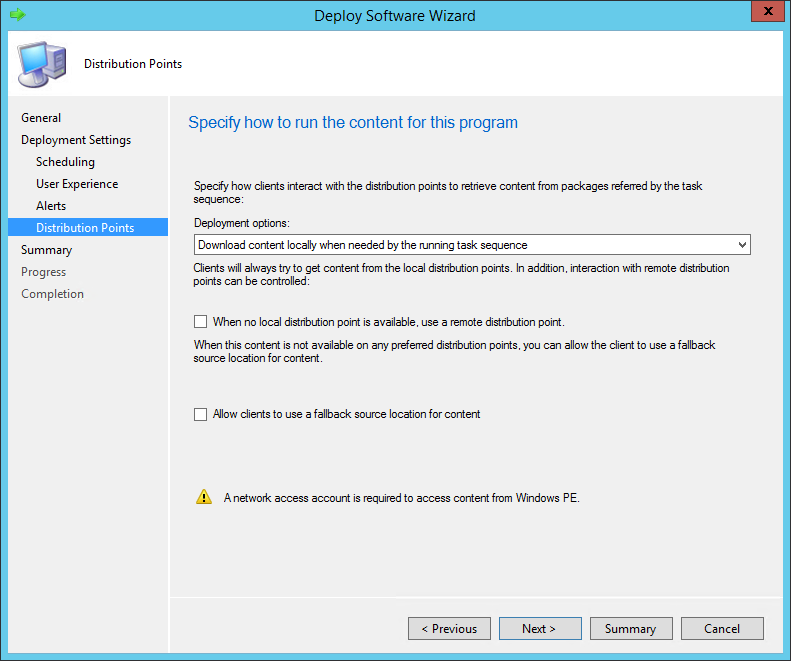 If you’re already running an ADK version on your SCCM server, see our post on how to install a new version. 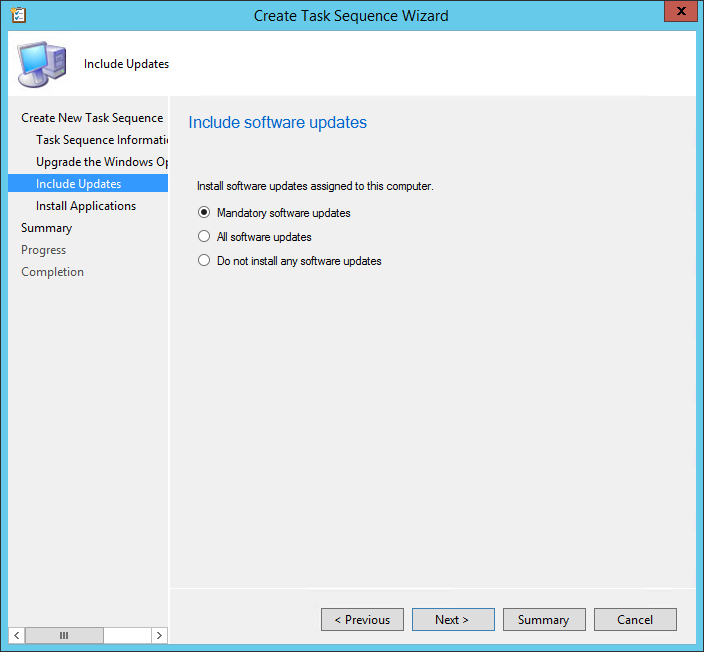 Upgrade Method – Task Sequence or Servicing Plan ? 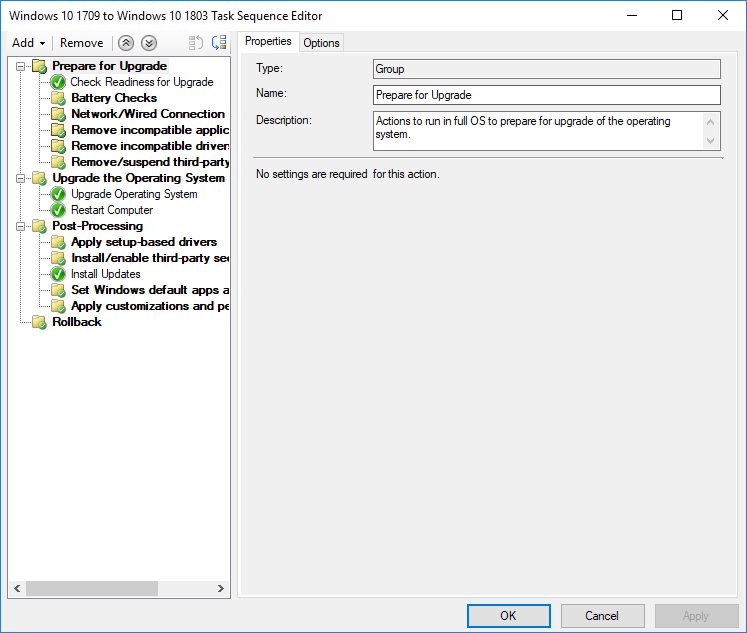 In order to upgrade an existing Windows 10 (1709 and less) to Windows 1803 you have 2 choices. You can use an upgrade Task Sequence or you can use Servicing Plans. There a strong debate over which is the best methods. 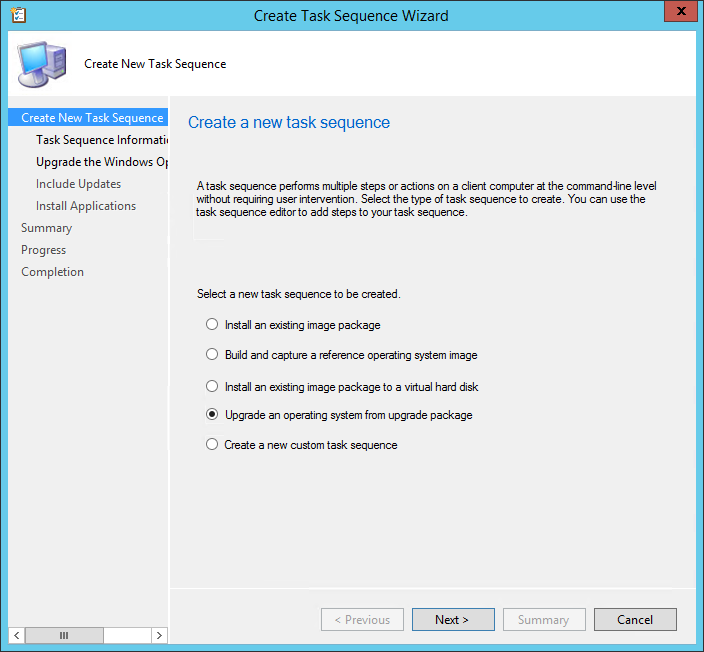 We prefer to use Upgrade Task Sequence for the simple reason that it’s more customizable. 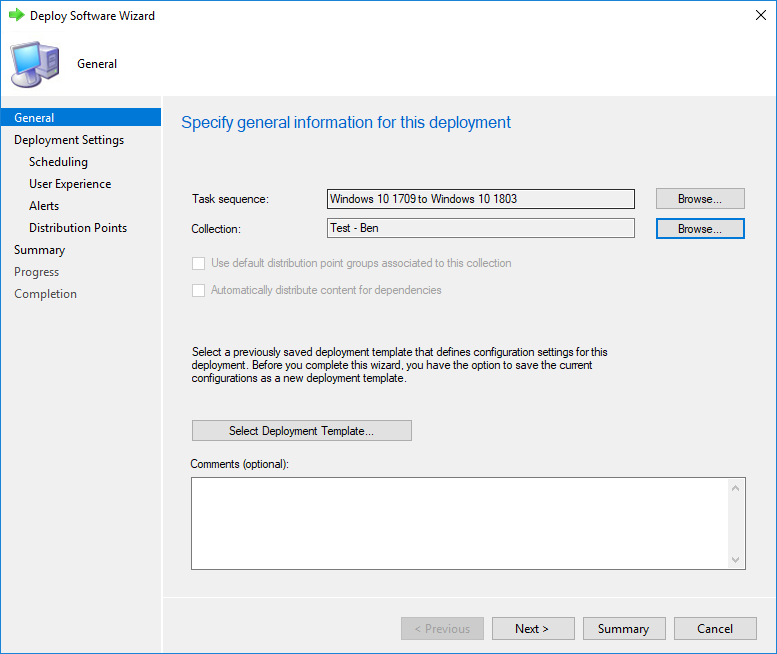 You can run pre-upgrade and post-upgrade task which will be mandatory if you have any sort of customization to your Windows 10 deployments. For example, Windows 10 is resetting pretty much anything related to regional settings, keyboard, start menu and taskbar customization. 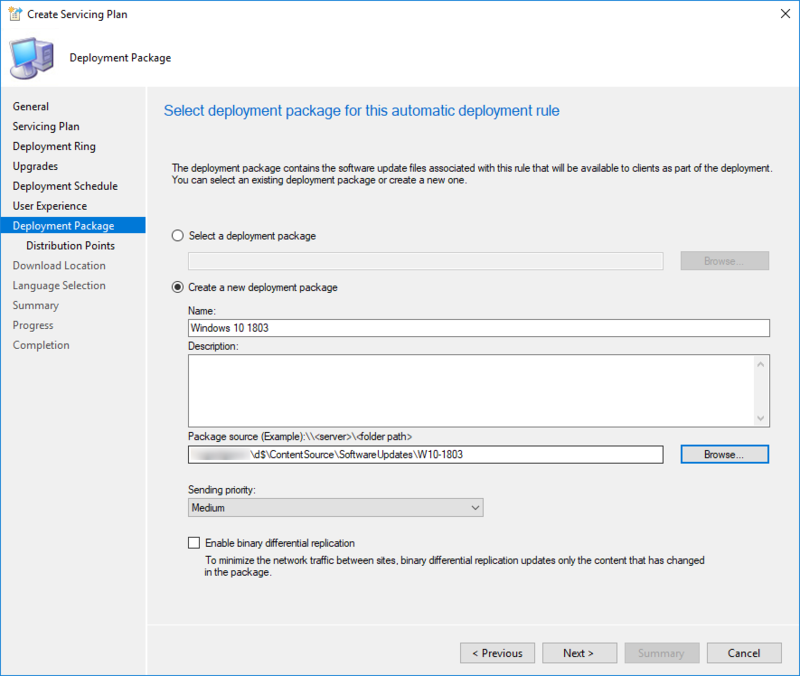 Things are getting better from one version to another but if you’re upgrading from an older build, let’s say 1511, expect some post-configuration tasks… and the only way to do that is using a task sequence. 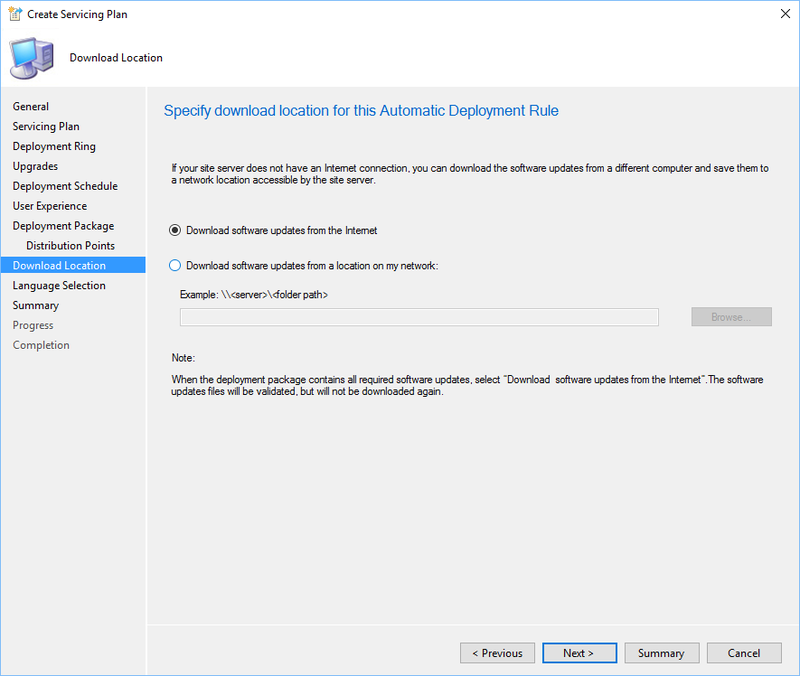 Servicing Plan has the simplicity, you set your option and forget, as for Automatic Deployment Rules does for Software Updates. We yet did not have any client that doesn’t want any control over Windows 10 upgrade in their organization. 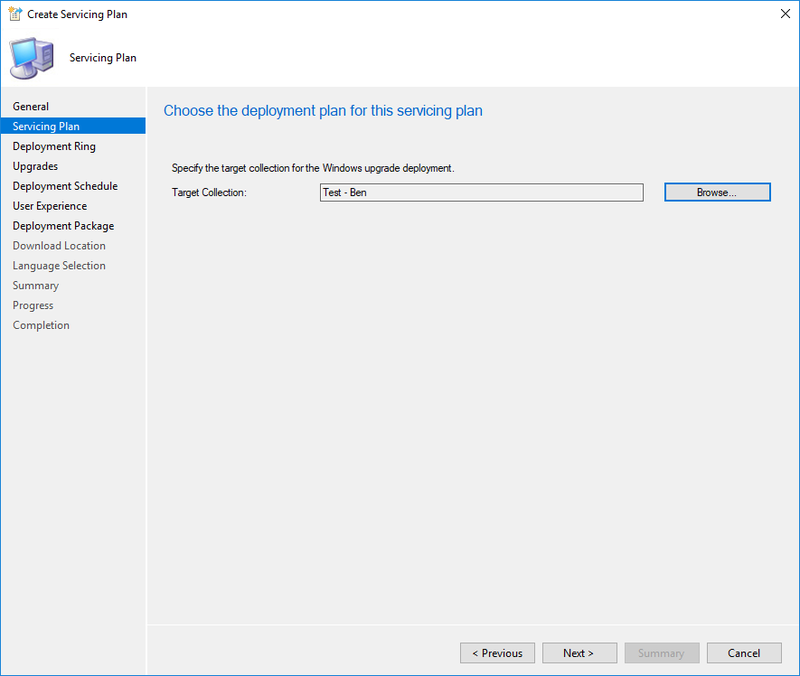 We totally understand the point of Servicing Plan and they’ll be useful in a couple of releases when Windows 10 upgrades will be an easy task… but for now, it’s not, unfortunately. 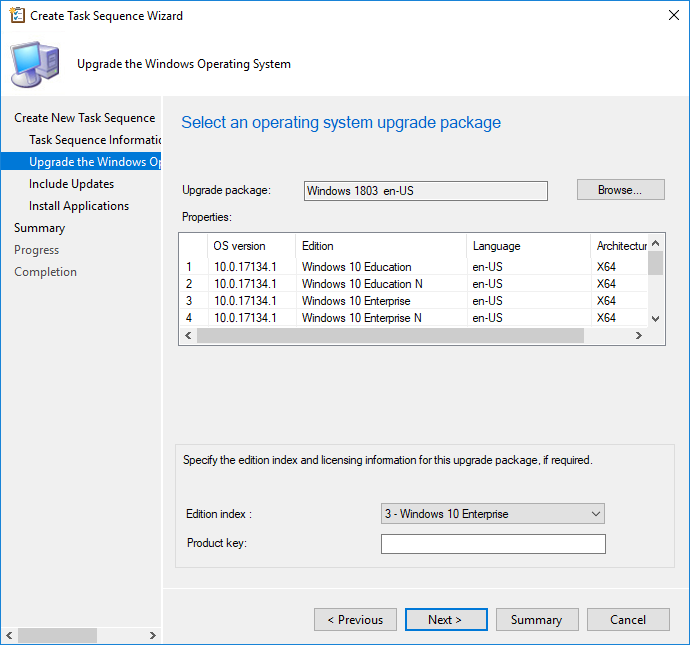 As stated in the previous paragraph, it’s possible to upgrade an existing Windows 10 computer using an upgrade task sequence. This method is useful if you need to run pre and post actions in your upgrade process. 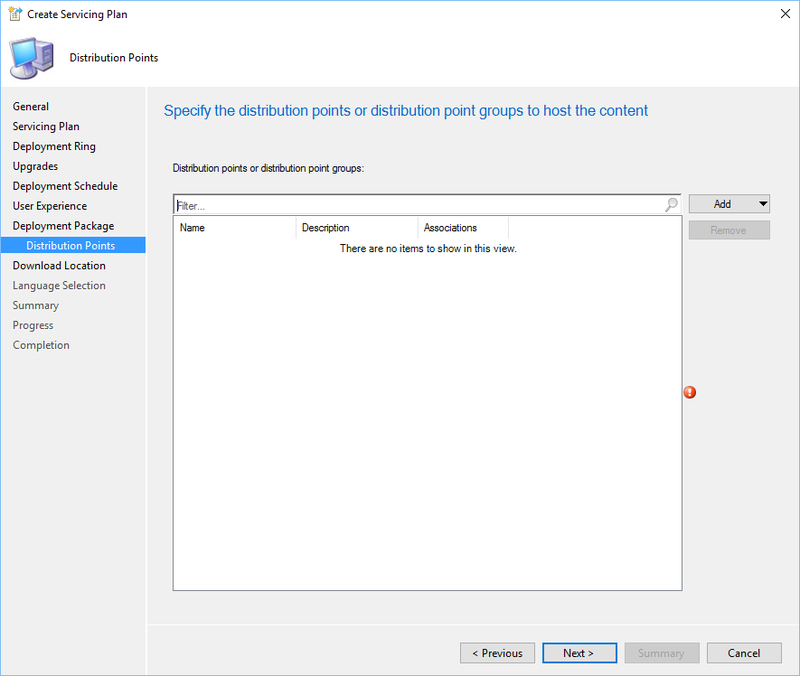 You will also probably want to create or modify your existing task sequence deployed to new computers to receive the latest Windows 10 1803 version. 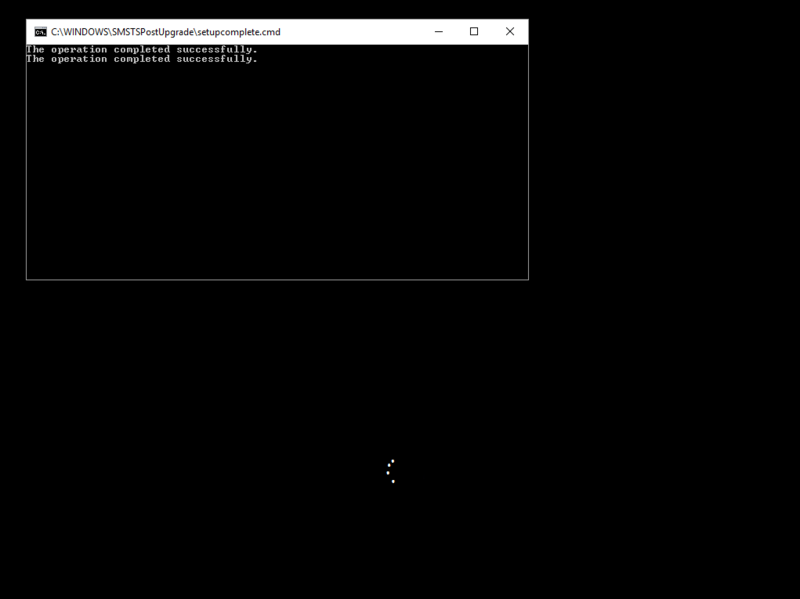 We will now import the Windows 10 1803 WIM file for Operating System Deployment. 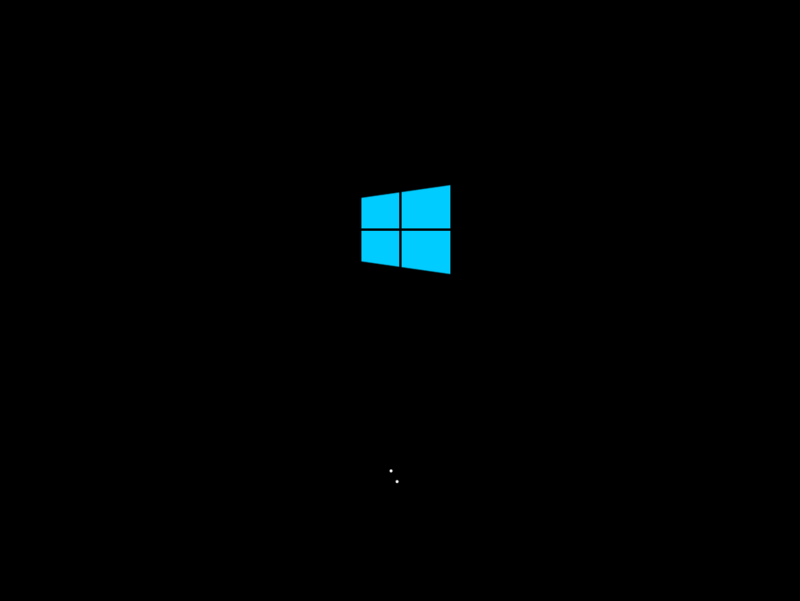 We will be importing the default Install.wim from the Windows 10 media for a “vanilla” Windows 10 deployment. You could also import a WIM file that you’ve created through a build and capture process. This WIM wile will be used for new computers, to upgrade an existing Windows 10, you need to import an Operating System Upgrade Packages. We will cover this in the next section. 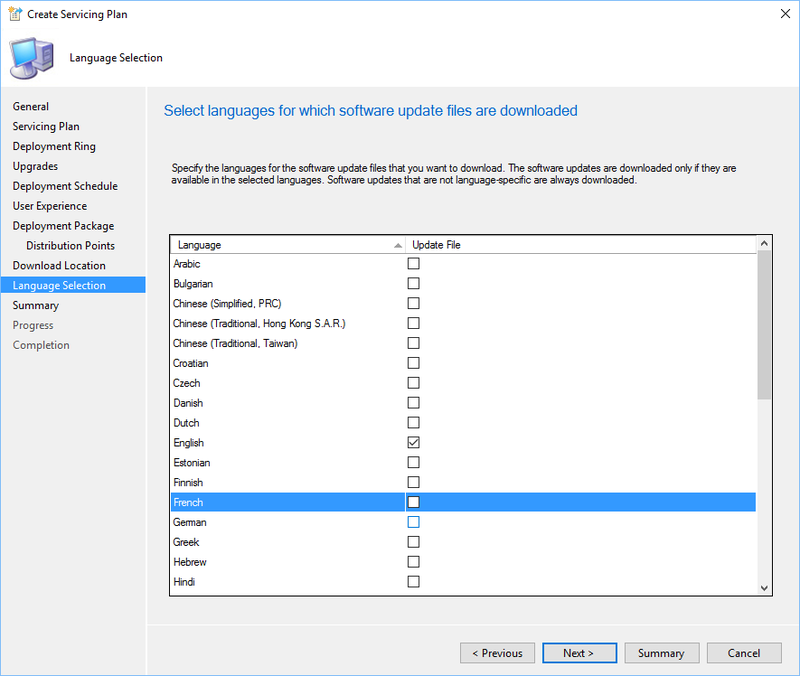 We will now import the complete Windows 10 media in Operating System Upgrade Packages. 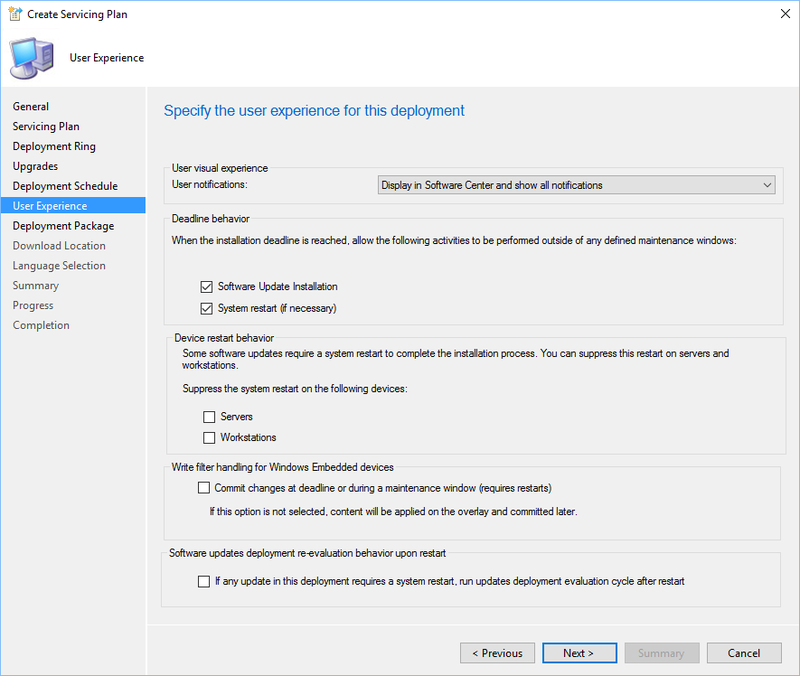 This package will be used to upgrade an existing Windows 10 or a Windows 7 (or 8.1) device to Windows 10 using an Upgrade Task Sequence. 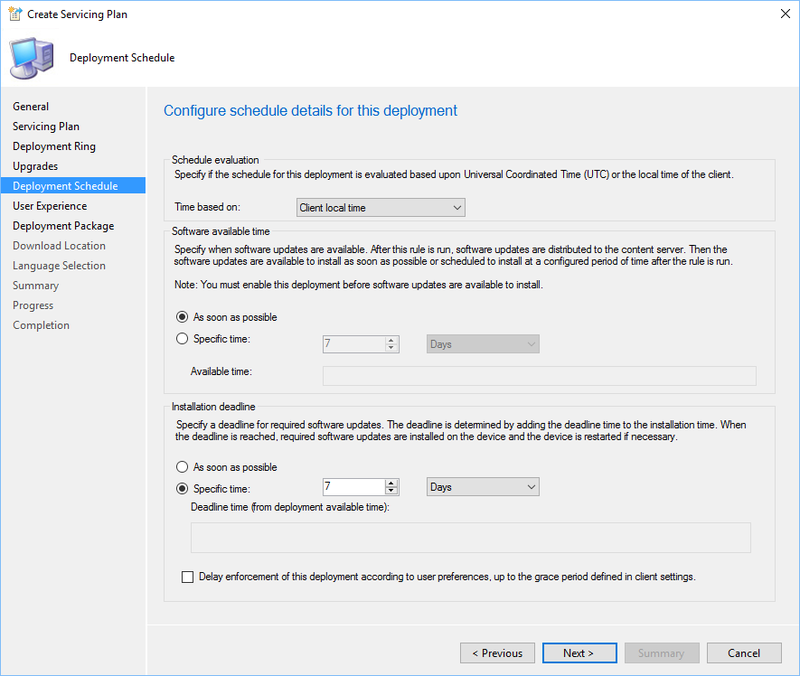 Let’s create an SCCM task sequence upgrade for a computer running a Windows 10 device. 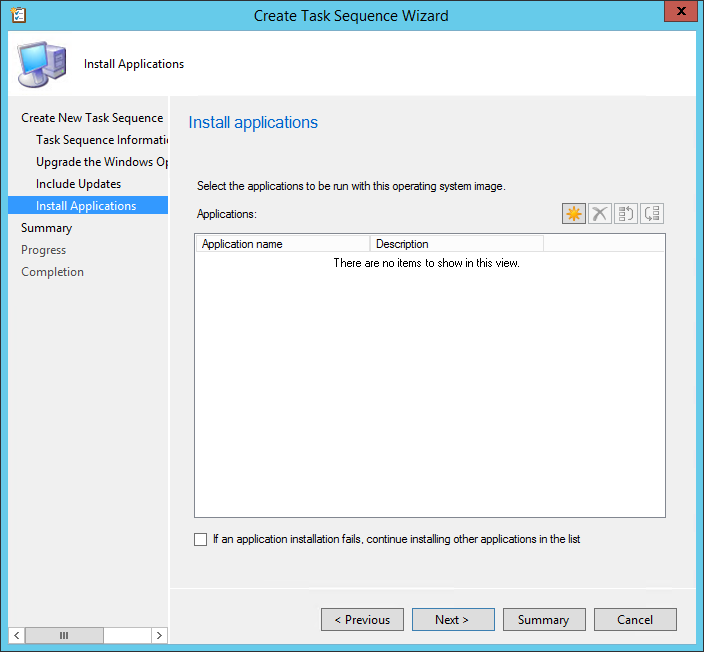 Once again, this Task Sequence could be used for Windows 7 or 8.1. Now that we have created the upgrade task sequence, let’s see what it looks like under the hood. 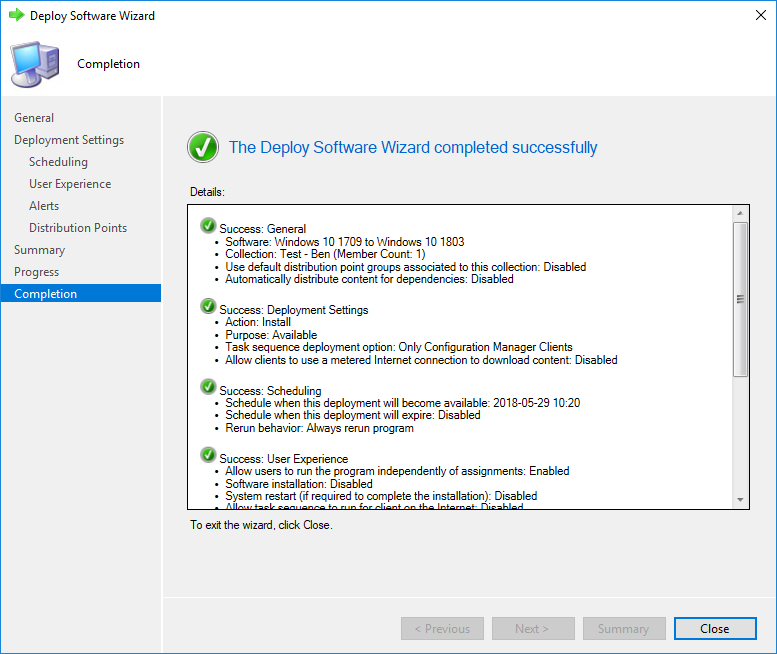 SCCM 1802 brings new built-in checks to improve deployment success. Everything is now ready to deploy to our Windows 10 computers. For our example, we will be upgrading a Windows 10 1709 to Windows 10 1803. 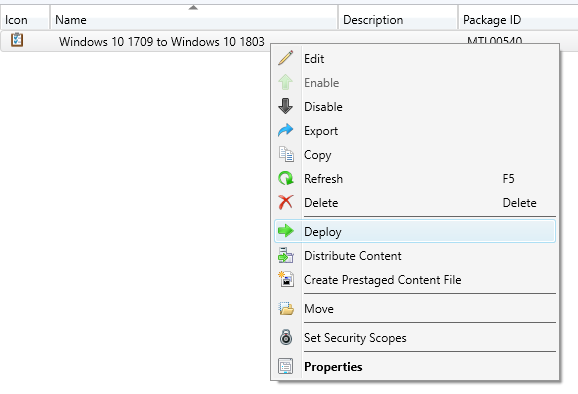 This task sequence can also be used on a Windows 7 or 8.1 devices to install Windows 10 1803. If you’re happy with the results and don’t want to use servicing plans, stop reading here. If you want to know more about servicing plans, keep reading. 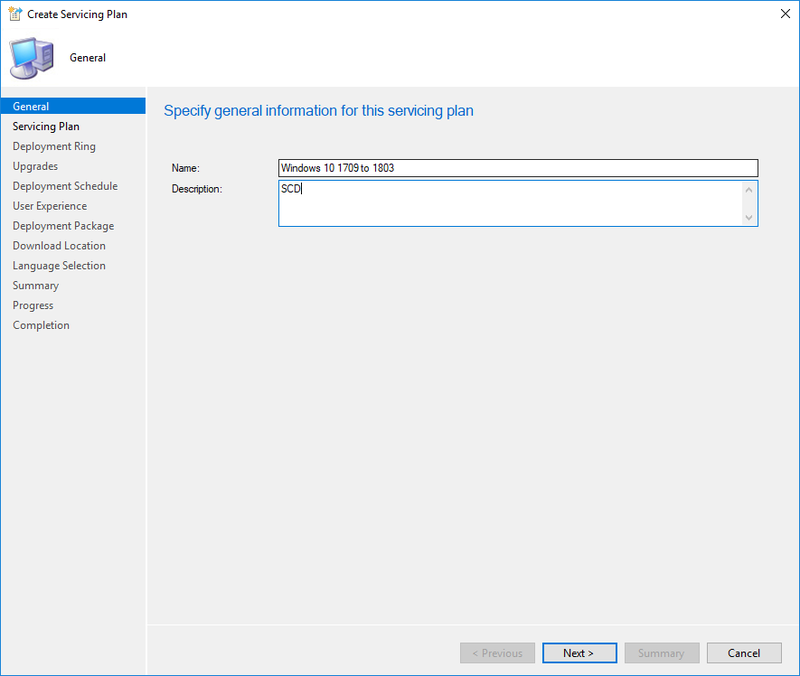 If you’re already running Windows 10 in your organization, Servicing plans is a simple method to upgrade to an up-to-date Windows 10 version. 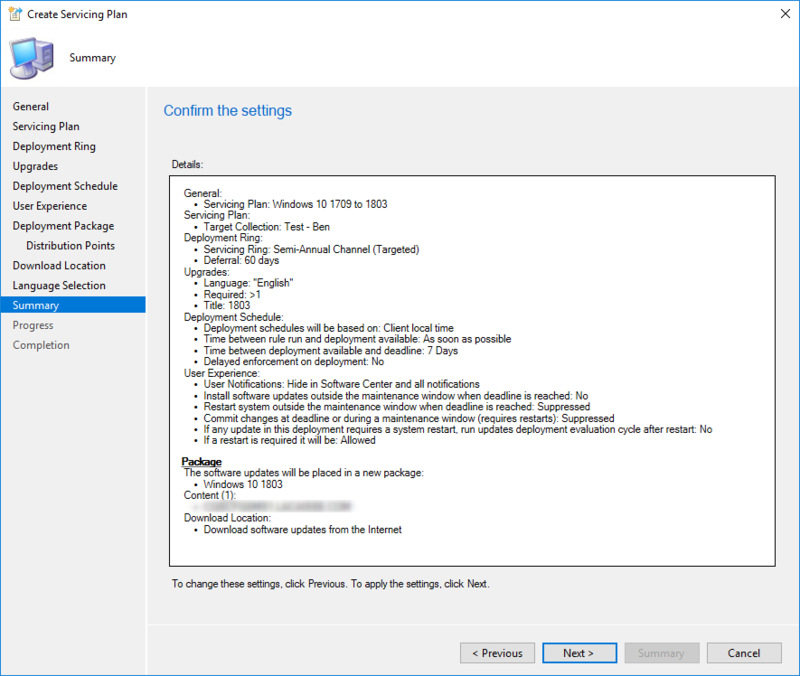 If it’s the first time you are using Windows 10 servicing plans, follow our previous post that explains the requirements to set up your Software Update Point. 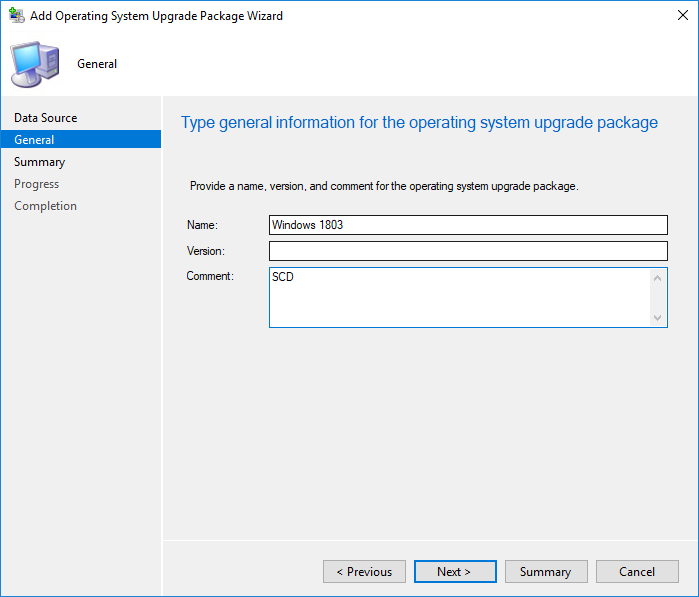 Now that we have Windows 10 1803 upgrade packages synchronized in SCCM, we can create a servicing plan for our “outdated” Windows 10 devices (1511,1607,1703,1709). Servicing Plan and Automatic Deployment Rules shares the same engine so you won’t be disoriented by servicing plans if you’re familiar with ADRs. 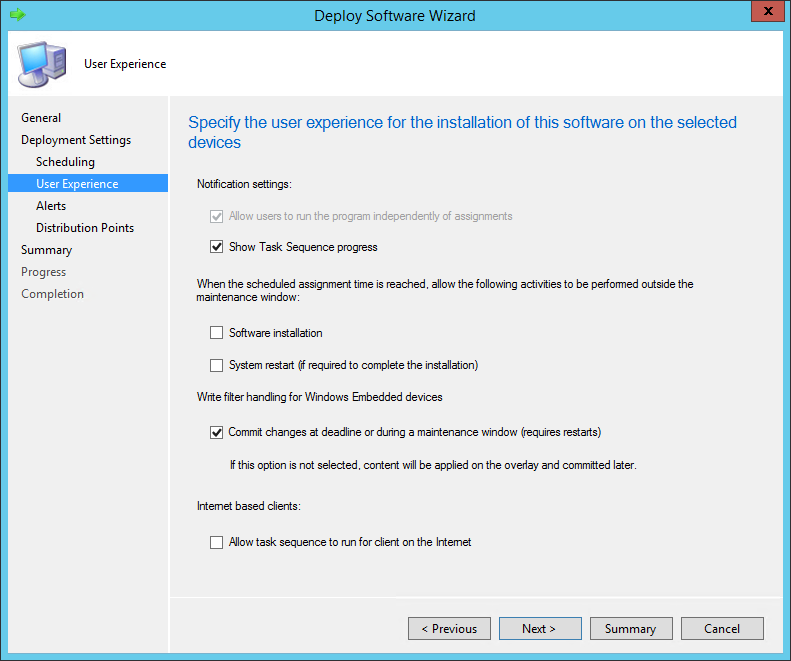 Servicing plans are designed to upgrade Windows 10 from one build to another build only. You can’t use that to upgrade Windows 7 to Windows 10. 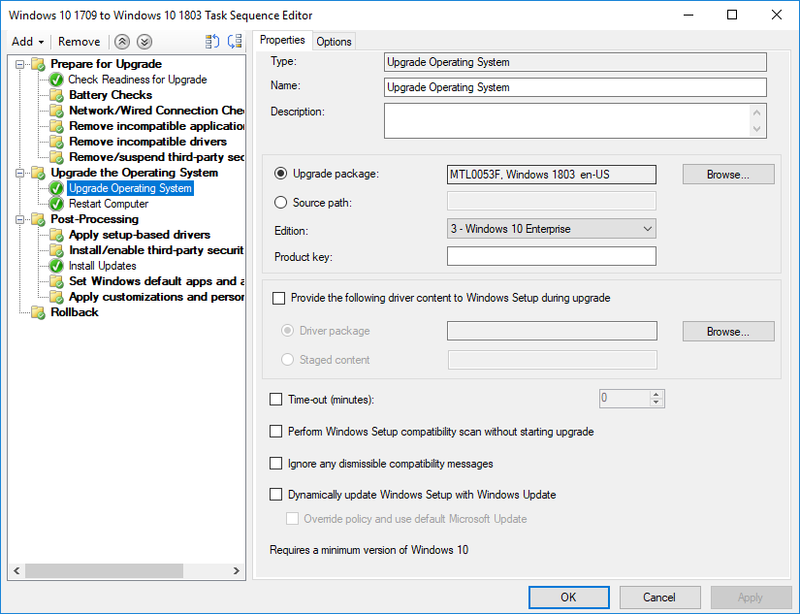 If you need to upgrade your Windows 7 to Windows 10 use an Upgrade Task Sequence instead. 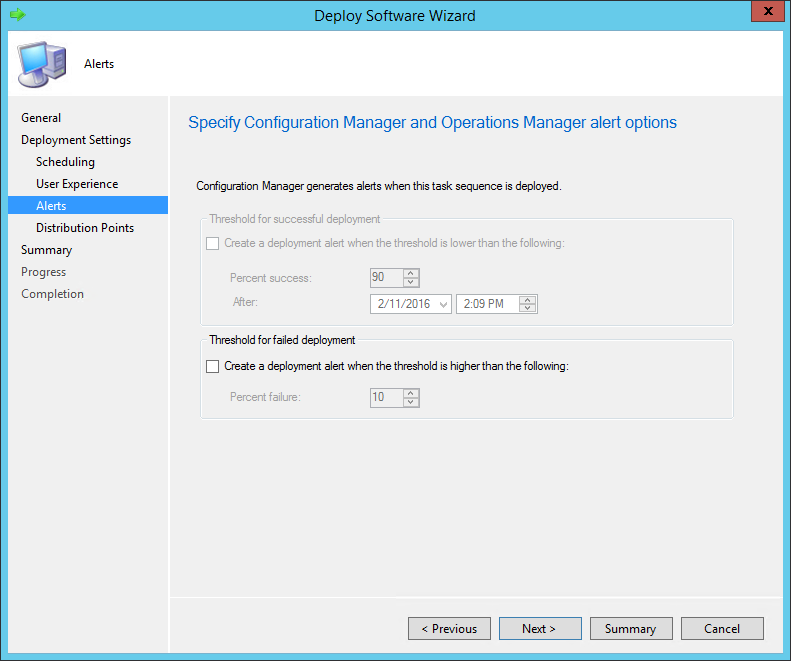 Specify the Windows readiness state to which your servicing plan should apply. 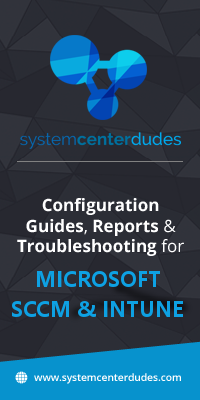 Refer to the Microsoft documentation if you are unfamiliar with servicing channels. One important thing in any OSD project is to make sure that every machines deployment are up to date. 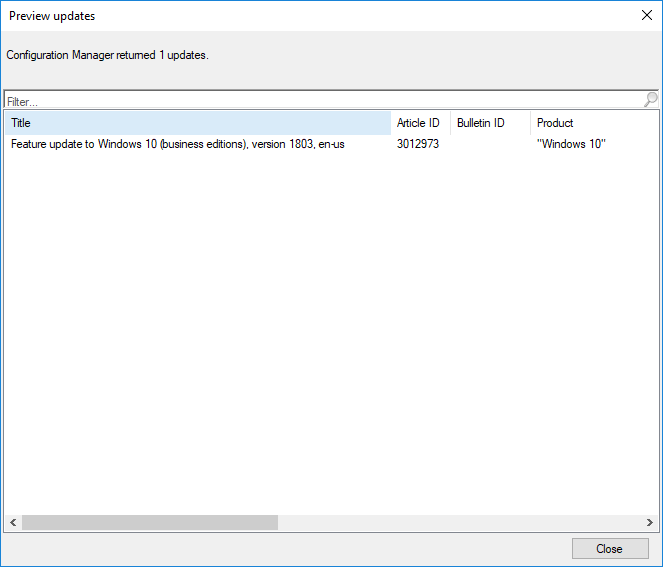 Before deploying Windows 10 1803, make sure that your Software Update Point is configured to include Windows 10 patches. 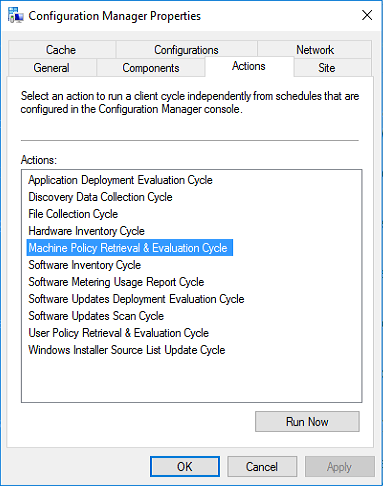 If you’re responsible for managing group policy in your organization. 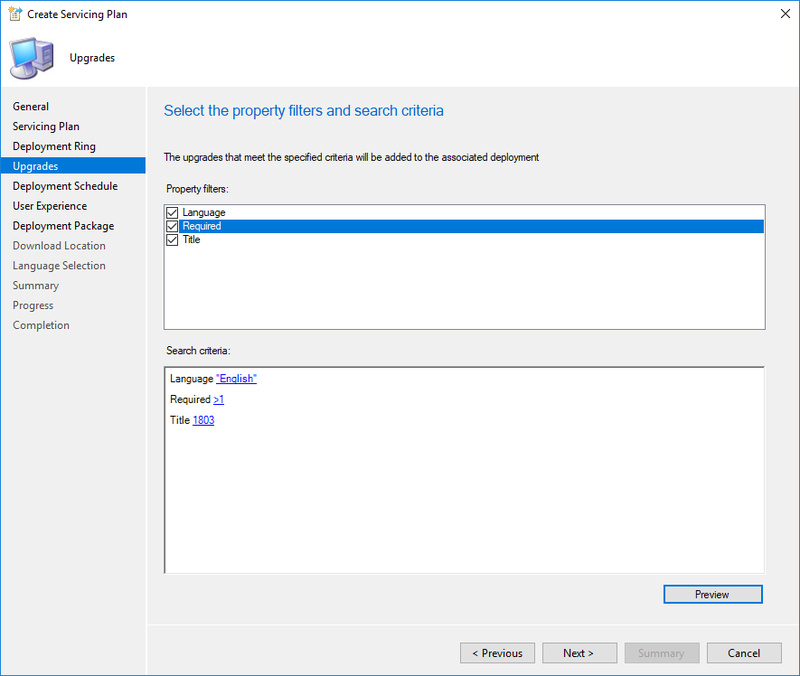 Ensure that you import the latest Windows 10 1803 ADMX file on your domain controller. 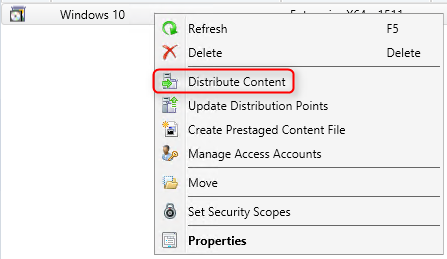 See our SCCM Windows 10 1803 Resources for more information about this. I followed the first task sequence. I got it to work on one machine and then now it fails on every other machine. Got a random one, we have 1709 deployed across the estate atm, but in my SCCM windows 10 update console, i have two versions of the feature upgrade, one called windows 10 1803 and another one exactly the same, but with x64 on the end, both say they are applicable to the same number of machines (required). If i deploy the standard one, some machines pick it up, but some not… so i removed that and added the x64 one, then some other machines picked it up, but again not all… so i now added both, and my machine shows both in software center, but others are just showing either one or the other… any ideas ? I am having the same issue. have you got any updates? I am not able reinitiate the upgrade again. During a Servicing Upgrade the SetupAct.log attempts to download ‘Dynamic Updates’. How does this work? We have a SCCM CB and WSUS with Windows Updates blocked at the firewall. Im having an unusual problem where I am able to perform the in-place upgrade through software center when I am on the office network, but when I try to perform the in-place upgrade over the internet via DMZ I get the message “The software could not be found on any servers at this time”. Content is not available on the DP for this program, The program cannot be run now. Error code 0X87D01106. I confirmed that the content has been deployed to our DMZ distribution point. I can install other applications to the computer through software center. We’re trying to upgrade our workstations with an In-place on-demand type of upgrade, to let the user chose when he wants to upgrade to Windows 10 from Software Center. We’re planning on upgrading Windows 7 x64 SP1 to Windows 10 1803 x64. 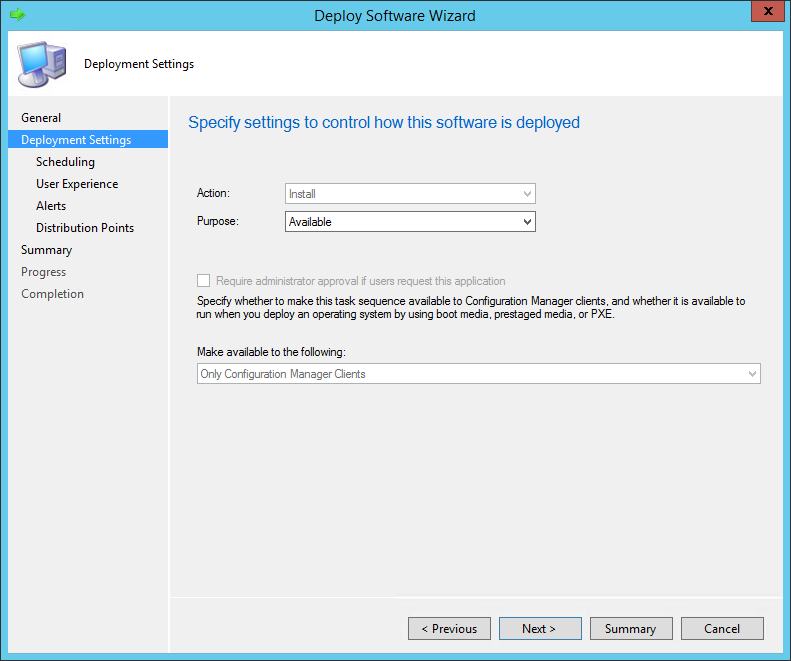 Currently we’re on SCCM 1710. Could be the SCCM outdated version that is causing the in-place upgrade to fail? I’ve tested and modified the TS extensively but to avail. I try to deploy using TS. There is a winpeshl.ini-file, but no commands are activated. If I write exit and type enter the machine reboots and rolls back windows. I am finding that using the task sequence to upgrade on a few test machines , that it is wiping out user settings and things like bookmarks, FTP settings, etc. I did not see a setting in the “Upgrading OS” that provides a way of setting the upgrade to “Keep user files and setting” , as you do when you do a hand upgrade process. This is very disconcerting as this will impact over 5000 users in my Enterprise. I have not tried to test the servicing yet and am in the process of doing that now. I was almost sure that the “steps” builted-in are only FOLDERS, but that they’re doing nothing. You will have to put something under it. 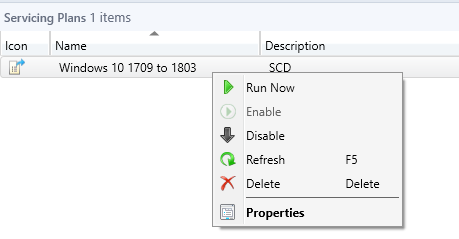 It’s more a guideline of what you can implement as check before upgrading… or am I mistaken, and really SCCM does with a “folder”, a check of the battery, network, not compatible sw,…. ? When it comes to Windows 10 Servicing I am unable to find the feature update package even after running a sync. 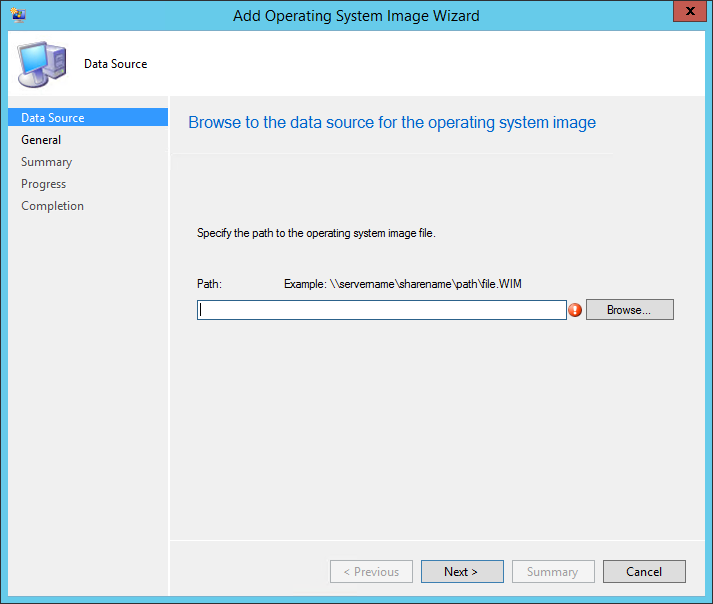 I am, as of recently, running SCCM 2012 v 1802. All I can see are consumer and business editions, but I need to enterprise edition of 1803. What about windows as a service? I haven’t had very much success with it. I’ve received false positives after it was installed. Meaning that it installs but the software center shows failed due to the logs showing it was waiting for a reboot that already happened.